Camping out in Kakadu might be accessible, but overnight digs in the traditional land of Hawk Dreaming is a novel experience – and one sacred to those who appreciate just how exclusive this safari camp is. This tented lodge set among dense bush sleeps 16 guests and focuses on ensuring that visitors experience Kakadu as it once was. This land is out of bounds to everyone except Hawk Dreaming guests, who have exclusive traversing rights across the estate. 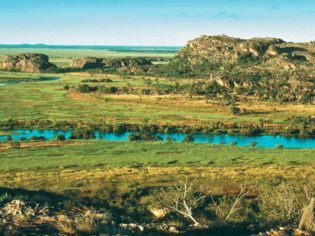 Local landowners will fill you in on the past, tell you a story or two and speak of traditional customs, while resident guides lead you through the park showing off the iconic spots of Kakadu. The motivation behind Hawk Dreaming is to give guests the chance to experience and see a side of Kakadu others can’t. Aboriginal rock art, located near the camp, is fenceless and crowd free – unlike other protected rock art areas dotted around the busy reserve. It’s an intimate experience and you’ll feel as though you’re literally in the wilderness on your own. 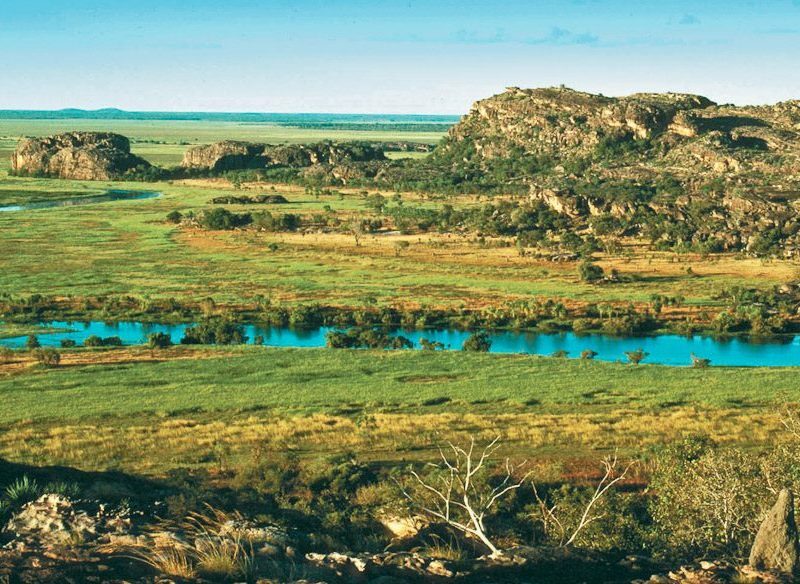 Sit outside your tent and overlook the flood plains and you’ll realise just how isolated you really are at this treasure of the Top End. Overnight stays in Kakadu National Park at the Hawk Dreaming Safari Camp, Kakadu. Exclusive to Aussie Adventure tours, www.aussieadventure.com.au for more info. Big Bill Neidjie, who died in 2002, was the last surviving speaker of the Gagudju language after which Kakadu National Park is named. He was a senior elder and traditional owner of the Bunitj estate (Hawk Dreaming land) and it was his decision to open up this area of the land.